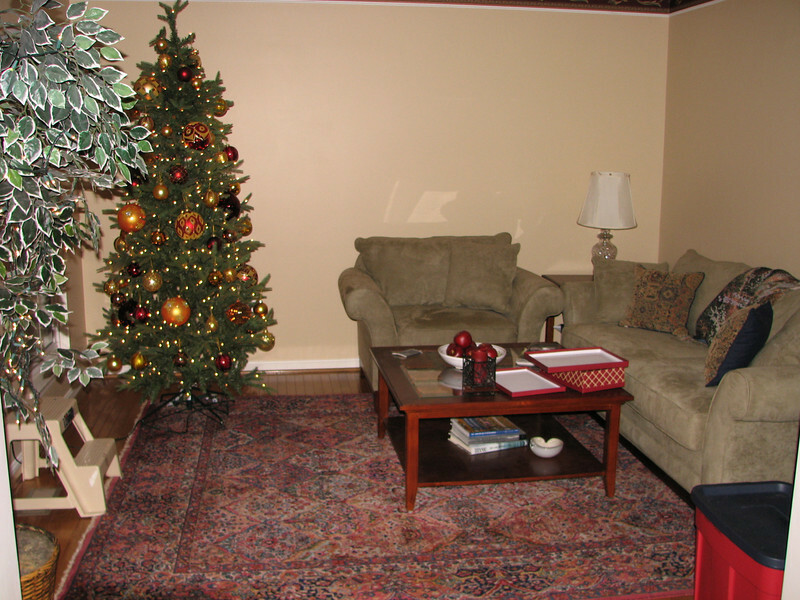 Just before putting up the Christmas decorations, Carolyn painted the living room. What a fine job she did! (Yes, I asked to help, but somehow, for some reason...she didn't trust me.) Here are some shots of the room painted. You can see the new coffee table and an in-progress tree decoration.